Since the Danes estimate that 40% of their country’s CO2 emissions come from buildings, this solution is especially vital. I experienced this emphasis time and time again when we visited different office buildings in Denmark. For example, I thought it was just a simple translation difference when many Danes we met referred to their professional office buildings as “my house” or “this house.” But if you take a moment to really hear the pride in their voices when they speak about their buildings (from E-On wind farm’s new office building to the Ørestad housing development), it is clear that the efficiency of their buildings matters greatly to the Danes. Perhaps that is the missing link in America…we go to work every day, but we do not necessarily take ownership and/or pride in the construction and efficiency of those “houses” where we reside 8+ hours a day. Really, those “houses” are where we spend most of our waking hours every day, so it makes sense to be concerned with those buildings and how they affect our environment, well-being, and economy. This is a large-scale and long term development on a city-wide scale. Would this approach in Maine? Probably not on such a large scale. The developers of Ørestad brought public transportation out to this area (in the form of metro tracks/stations) long before the buildings were even built. Given that Maine does not even have metro capabilities, alternative transportation networks would need to be utilized…train? bus? No. Likely, people would resort to driving their cars to and from such a developing area. This would vastly cut down on any CO2 emission reductions achieved by the development itself. Mainers especially can appreciate this method of transforming and rehabbing what is old into what is new again. The New England area has the oldest structures, roads, etc. in the United States. So the State really could look to the Danes for inspiration on a initiative such as this. And at around 40% of CO2 emissions, buildings could be an extremely low-hanging fruit when it comes to one simple focus that could make a huge difference. So what is Maine already doing about sustainable buildings? A lot, it seems; I found numerous organizations and initiatives with one Google search. 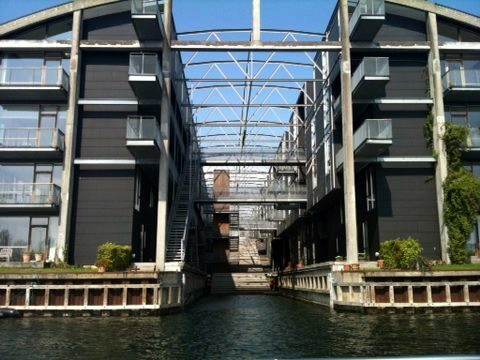 In fact, E2 Tech just held a conference on the subject of Sustainable Buildings & Site Development Trends in Maine in our very own USM Wishcamper Center building on 5/17/13 while we were in Denmark! That is the very definition of re-purposing old structures and starting anew: taking a decommissioned Naval airbase and transforming it into a center of excellence for renewable energy research. Want to get involved like I will? A one-year student membership costs only $20 and allows you to attend forum-series lectures and workshops (such as the one at USM), network with fellow professional/student members, and participate in E2Tech projects! State of Green & Copenhagen Cleantech Cluster. (2013). 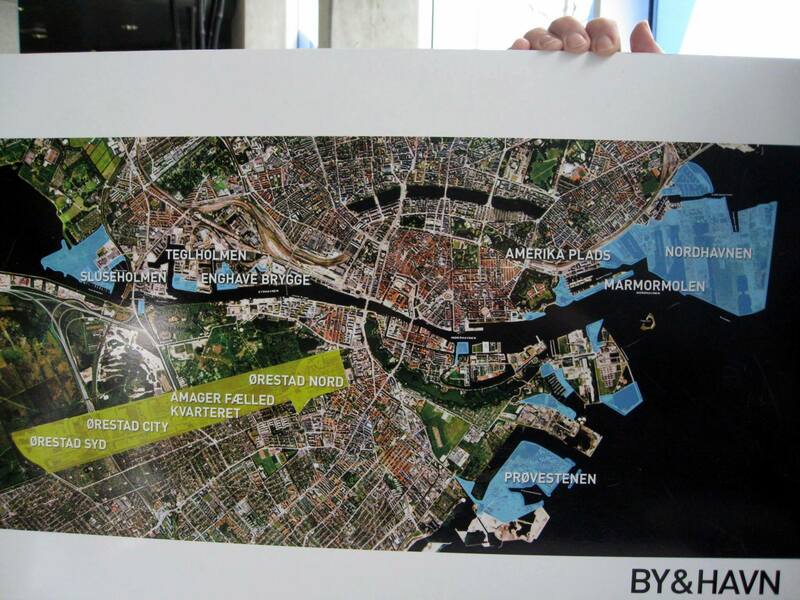 Copenhagen Solutions for Sustainable Cities. Copenhagen: City of Copenhagen. This entry was posted in Community planning and development, High-efficiency buildings and tagged Climate change, environment, Green buildings, sustainable buildings, Sustainable energy. Bookmark the permalink.